Burn rubber with seven brand-new and expensive looking rides. Asphalt 8 continues to entertain players, and Gameloft gave its fans another reason to download this free-to-play racer with update 1.4.0. The new downloadable content adds seven more cars to the garage, including the Ferrari FF, Ford 2006 GT and Hennessey Venom GT. 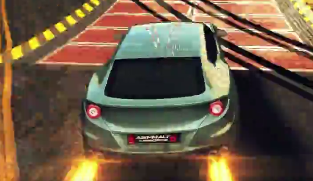 Check out the trailer below to see these speed machines in action, and download Asphalt 8 today. Unfortunately, the update is iOS only for now.